BLOOMINGTON, Ind. — Keita Bates-Diop finished with 24 points and 14 rebounds and C.J. Jackson made a long 3-pointer with 1.7 seconds left in double overtime to give No. 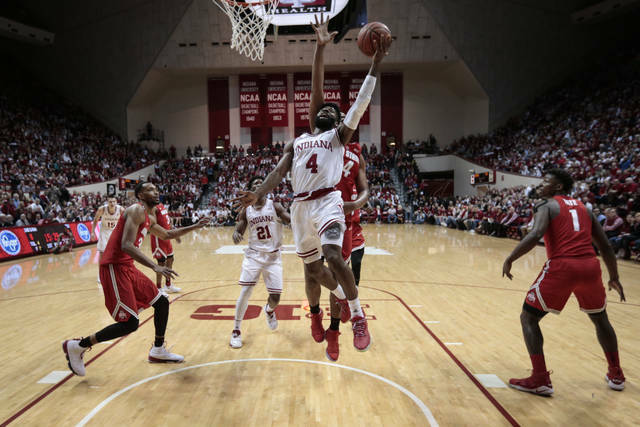 16 Ohio State an 80-78 victory at Indiana on Friday night. 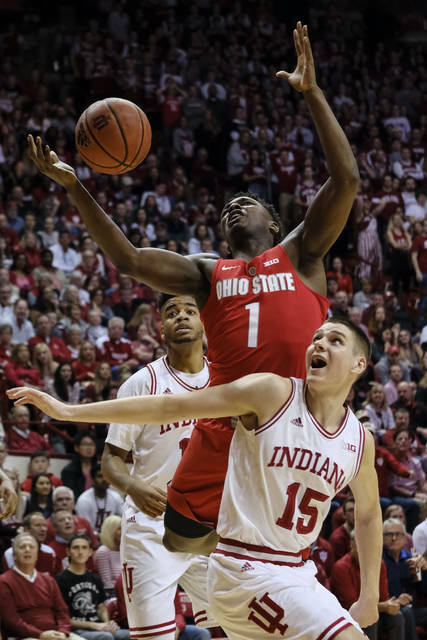 With the win, the Buckeyes (24-7, 15-3) can claim a share of the conference crown in coach Chris Holtmann’s first season — if No. 2 Michigan State loses at Wisconsin on Sunday. 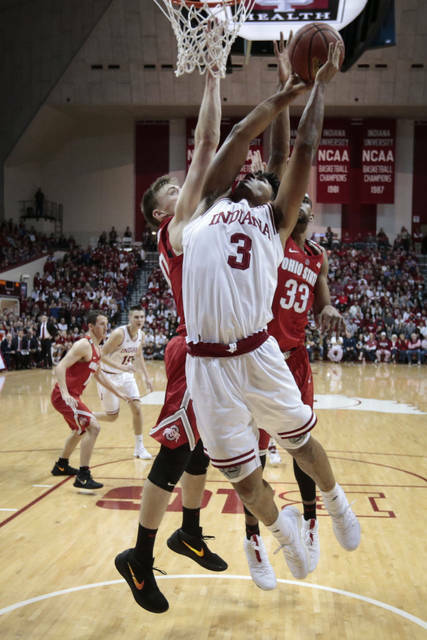 Juwan Morgan scored 18 points and Robert Johnson added 17 to lead the Hoosiers (16-14, 9-9). TOLEDO — Tre’Shaun Fletcher scored 28 points with nine assists, Jaelan Sanford hit a season-high five 3-pointers in scoring 23 and Mid-American West leader Toledo (20-9, 12-4) used 60 percent 3-point shooting in beating Central Michigan (16-13, 5-11). KINGSTON, Rhode Island — Jeff Dowtin scored 20 points, E.C. Matthews added 18 and No. 18 Rhode Island (22-5, 15-1) wrapped up its first outright Atlantic-10 regular-season title with a victory over Dayton (13-15, 7-9). INDIANAPOLIS — T.J. Henderson had 12 points off the bench, going 10-for-10 from the free throw line, to carry IUPUI (11-17, 8-9 Horizon League) to a win over Wright St. (21-9, 13-4).